Eat something. Not much. A small meal, perhaps. Or a snack. Write about the experience. Pay attention with all of your senses. What happens, exactly, once the food has crossed your lips? Notice your skilled and athletic tongue. What are its many tasks and duties in the activity of getting the food chewed up and swallowed? What other parts of you work precisely and automatically as the food gets eaten? 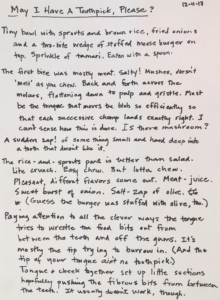 Write about how the experience of each bite is different from the last. 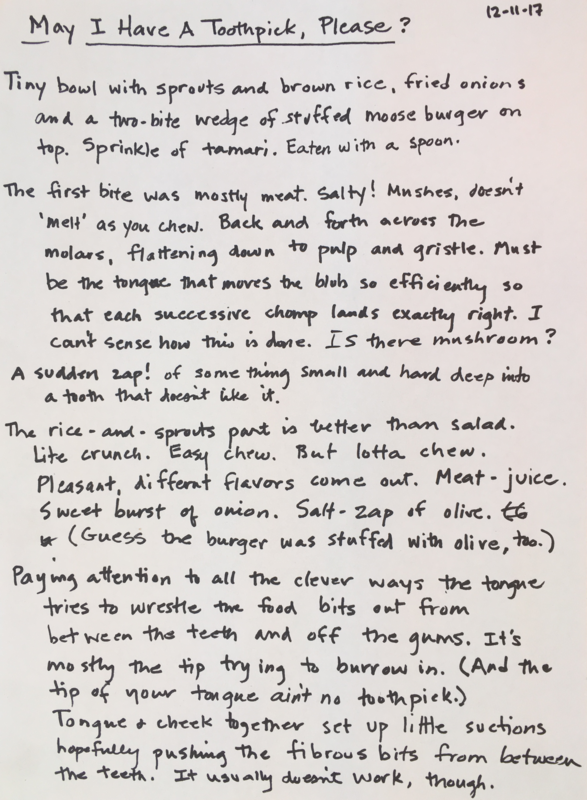 Write about every sensation, including the sensation that the eating is done.